What a weekend for Arie as he finished up his Can. Championship and is now Can. Ch. Elharts As Good As It Gets OFA H/E!! 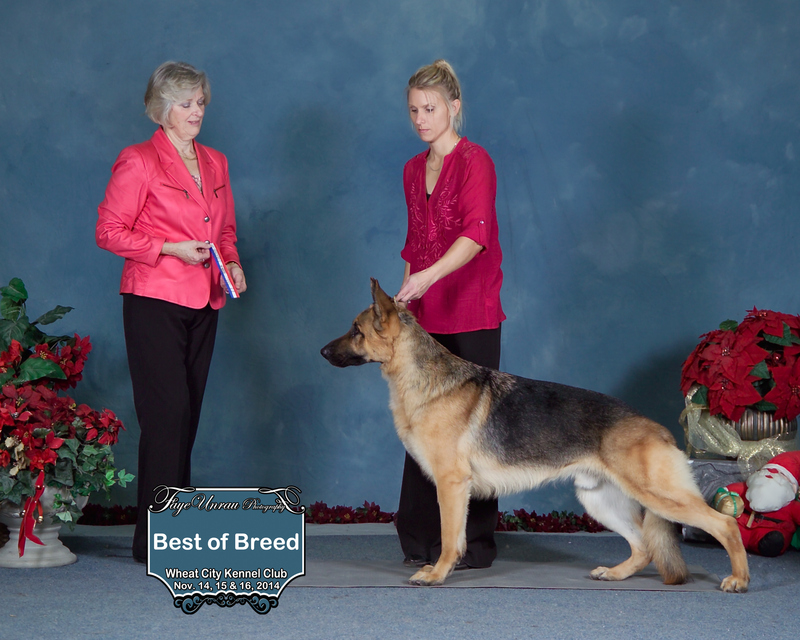 After moving up to specials the next day, he won Select, and then for the final show of the weekend he took Best of Breed in a very competitive class. I’m so proud of this guy for only showing 2 times this year. Thank you to Judges Val Gervais, Carol Graham, and Anna Hewson for these wins. What a great way to end 2014! This entry was posted in Posts and tagged Can. Ch. 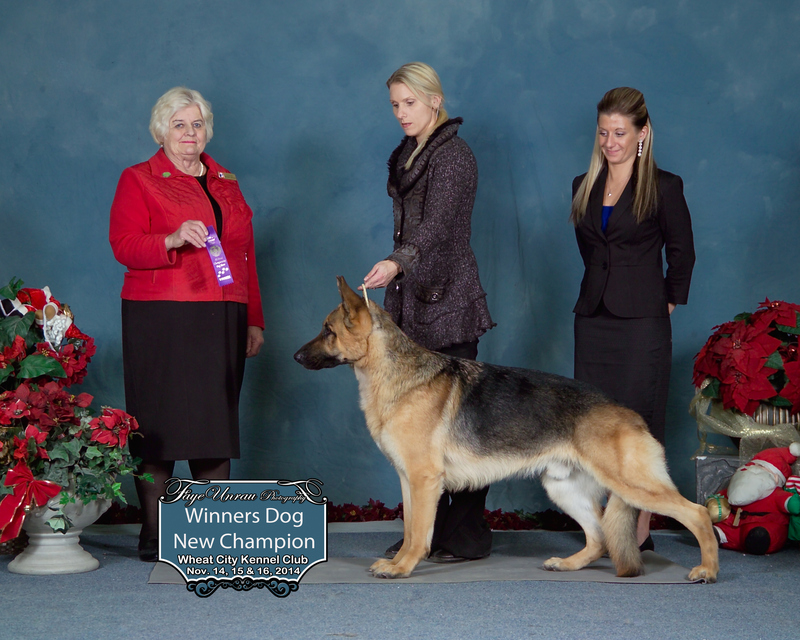 German Shepherd Breeder, german shepherds, German Shpherd Breeder, Manitoba, ofa, Puppies, stud dogs.